Learn more about dentistry’s most comprehensive Online Dental Team Training Program.  All-Star Dental Academy is a “done-for-you,” step-by-step customer-service training SYSTEM. All-Star is SKILLS focused, so everyone is cross-trained! Our Phone Success Course is a real world, proven, phone verbiage and rapport-based customer service skills course designed to help you get more quality patients to make appointments, show up, and establish the beginnings of an amazing patient experience. Includes comprehensive “how to” training videos using the GREAT Call(TM) Process, study guides, and role play examples. The Patient Experience Course is every piece of the patient journey all added together. A positive experience creates life-long patients who refer friends and family, while a negative experience results in your patients going to competitors. In the Dental Case Acceptance Course, we will explore how rapport is the critical element of case presentation – how you work with the patient from their very first contact with your practice sets the tone for the patient experience and dramatically increases acceptance. In the Customer Service 101 Course, we show how providing an amazing patient experience is critical to the long-term success of your dental practice. An important piece of the patient experience puzzle is the fundamentals of customer service. *Available for an additional fee. Not included in All-Star Dental Academy Program. The QuickStart Onboarding Course brings everyone in your dental office to the same level of skill by teaching the fundamentals of our customer service based phone skills, productive dental scheduling, dental terminology, and HIPAA basics.